The second-oldest colonial city in Peru has enjoyed a sort of blissful anonymity up until now, despite the fact that its motherland is among the most visited countries in all of Latin America. Yet as return visitors to the continent start exploring beyond the obvious highlights they seem to have taken quite a shining to this rather unassuming northern Peruvian city. 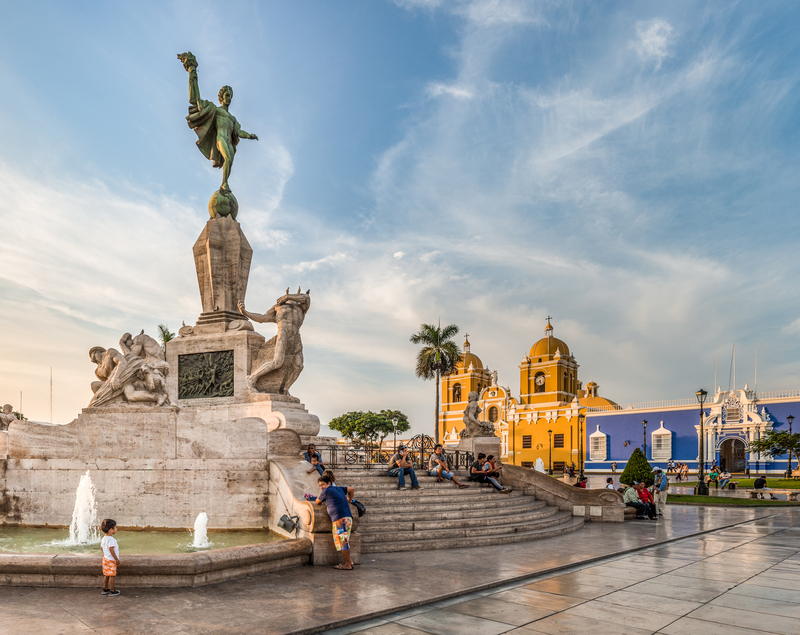 Considering Trujillo’s most unrefutable importance as a historical and cultural hub, however, it leaves us wondering what’s taken them so long. The birthplace of some of the most significant pre-Inca cultures in South America and certainly the cultural capital of Peru, not to mention a stunning colonial maze and basepoint from which to visit some of the most impressive archaeological sites in the world, Trujillo seems more than ready to take to the centre stage, lights blaring. Could Peru’s biggest secret really be out? Discover the truth about Trujillo and come see for yourself! What’s so special about Trujillo? Sprawled across the shores of the Moche River and only a swim stroke away from the world-famous surfing beaches of northern Peru, Trujillo is less than 600km directly north of Lima, or just an hour’s plane-ride away. It is primarily famous among international surfing crowds who head here for exceptional waves, uncrowded beaches and excellent seafood, a better combination no discerning surfer could ever find. The prime surfing beaches of Peru stretch from here all the way to the Ecuadorian border and include such coveted hubs as Huanchaco and Mancora, arguably the most famous Peruvian surfing destinations of all. 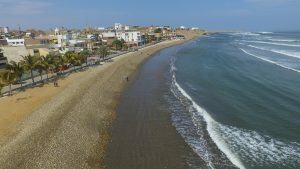 Locally, Trujillo is revered as a bustling beach vacation hub home to several resorts although, because the city has managed to dodge international tourist crowds in serious numbers, it doesn’t feel overcrowded, not even at the height of the summer season. What you get in Trujillo is all the benefits of a well-developed tourist spot minus the drawbacks of more popular spots. Yet if you were to ask us, we’d say the truth about Trujillo is that it’s one of the most comprehensive travel destinations in all of Peru. 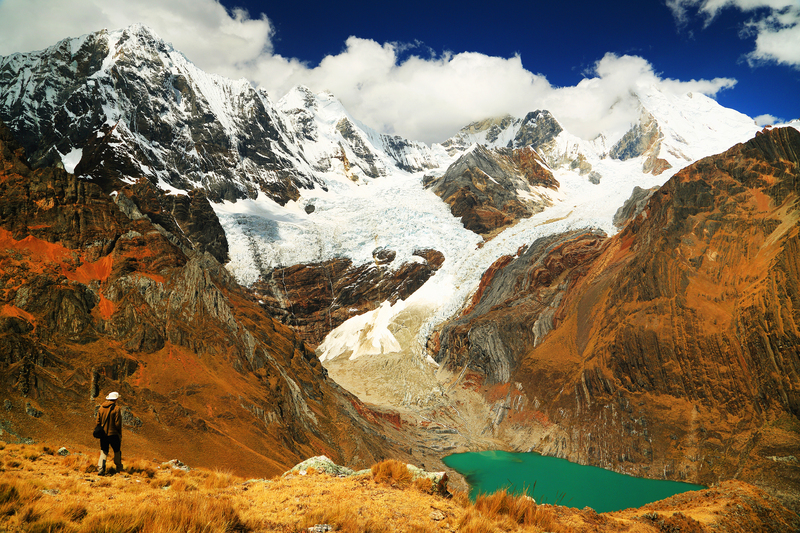 With a stunning colonial historic centre that’ll make architectural buffs weak at the knees, Trujillo is also a wonderful springboard for mountainous adventures on the Cordillera Blanca, the country’s other Andean mecca, where snow-capped peaks and sensational hiking trails abound. If that isn’t enough, Trujillo also boasts an illustrious history as the ancient capital of some impressive pre-Inca civilizations and just a few kilometres from the city you can visit two absolutely astounding archaeological sites. Some of Latin America’s most important, in fact. As a result of its long-standing history, Trujillo is also known as the ‘Cultural Capital of Peru’ offering a wealth of unique experiences you simply won’t find anywhere else, like the yearly Spring and Marinera festivals. Trujillo is also very famous for being the home of the striking Peruvian Paso, a unique breed of horse that’s revered for its natural lateral gait which grants the rider a super smooth gallop. A breed of Icelandic horse boasts the same inherent gait yet these are the only two horses in the world with this unique trait. One glorious Peruvian city, a stretch of stellar beaches, a delectable cuisine, an enticing culture, hiking trips on the high Andes and a spot of archaeological discoveries and awesome horses to boot? If that’s not special…nothing is! Historic Centre – The vibrantly yellow Trujillo Cathedral is the focal point of the historic centre yet there’s much more here to be discovered. The once fortified city still boasts sections of its defensive wall around the circular Avenida America, a street which makes getting lost both enjoyable and, ultimately, impossible! The resplendent Plaza de Armas is perfect for people watching and architecture-admiring although the whole quarter is awash with striking mansions, buildings and, of course (because this is South America) plenty of churches. With a host of exciting eateries and museums (the Archaeological Museum in the historic Casa Risco shouldn’t be missed), a tour of Trujillo’s historic centre is worthy of two of your travel days, at the very least. Trujillo is home to one of the longest mosaic murals in the world, housed in the city’s early 19th-century university (Universidad Nacional de Trujillo) which also happens to be one of South America’s oldest. Made from shards of colourful pottery, the Trujillo mosaic stretches for a kilometre, displays scenes from everyday life, war, conquest, nature and more, and is absolutely amazing. Archaeological sites – When it comes to amazing archaeological sites, Trujillo really is unrivalled. Not only in terms of content and importance but also proximity and ease of access. 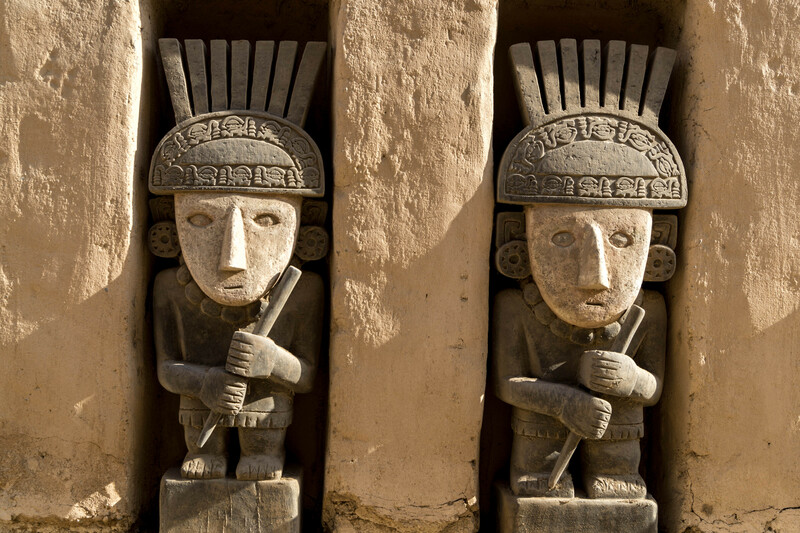 The town was once the capital of both the Moche and Chimu civilizations (yes, the inspiration for our name!) 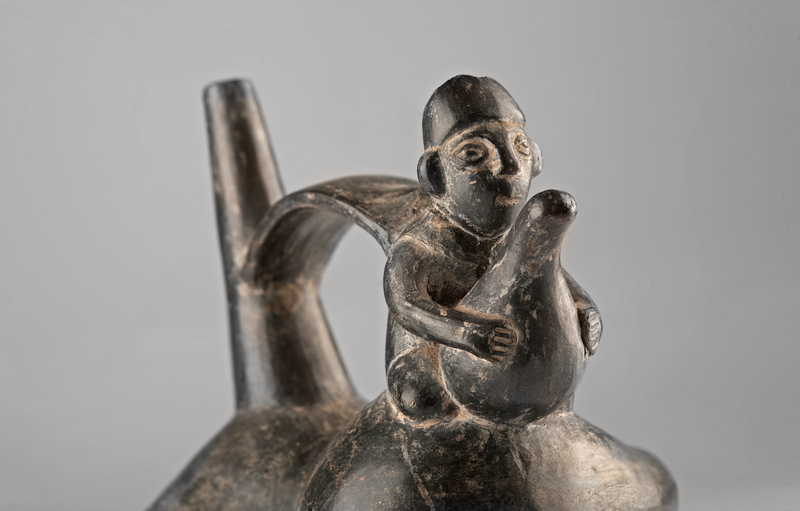 two formidable empires that ruled over a sprawling area of northern Peru consecutively, with the Chimu eventually succumbing to an ever-growing Inca Empire just before the first Spanish conquistadores landed on the continent. The two civilizations left incredible legacies, each one showcasing their respective culture’s unbelievable advancements. Whilst the Moche built their revered jewels (Moche Pyramids) in the splendid Complex of the Moon and the Sun (Huaca de la Luna and Huaca del Sol), the Chimu set up their capital in what is now the magnificent complex of UNESCO-listed Chan Chan – a 20 square kilometre city made entirely from mud, carved some 1200 years ago. Chan Chan is the world’s largest adobe city and at the peak of its golden era, just 600 years ago, was the largest in the Americas. 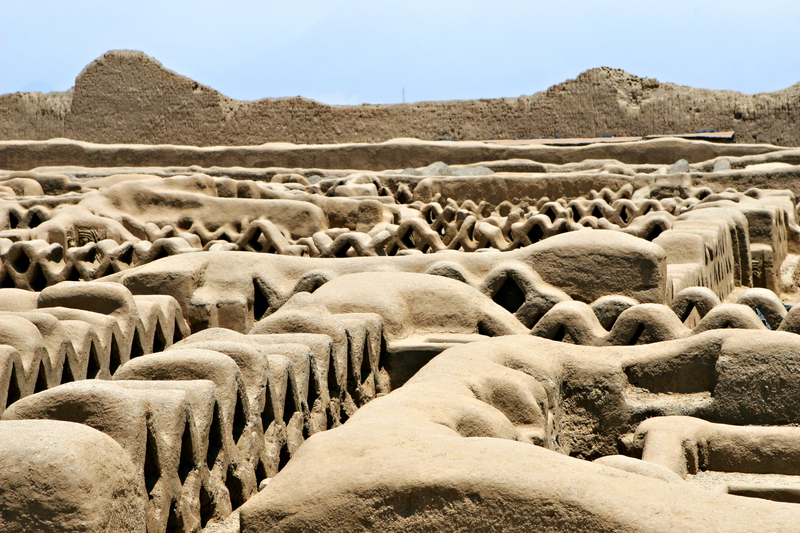 This astonishing maze of carefully-carved splendours comprises thousands of buildings in a maze-like plan, was once home to more than 60,000 and was the head of a strong empire that stretched for more than 1000km along the Peruvian coast. 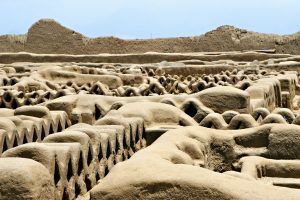 The Chimu overcame the drought conditions of this desert coast by building complex aqueducts and irrigation systems using methods not developed in the rest of the world until 300 years later. You can learn more about the ingenious Chimu here, where you’ll find more photos of their incredible city. Recently, international headlines reported a sensational find near Trujillo. Nearby Chan Chan, archaeologists have discovered what they believe to be the world’s largest human sacrifice site. A disturbing yet thoroughly fascinating find. Don’t forget to include a half-day excursion to the El Brujo Archaeological site, another Moche treasure that’s brimming with wonderfully-preserved murals and frescoes. Shopping – Renowned for making gorgeous leather shoes, Trujillo is a fabulous little spot for some retail therapy. Aside from divine footwear, you’ll also find plenty of wares hand-carved from wood and an array of colourful ceramics, many replicating ancient indigenous treasures. 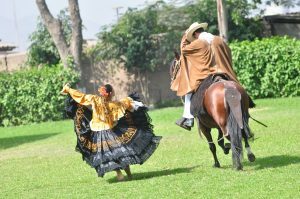 Cultural Experiences – One of the most enjoyable Trujillo experiences and an utterly unique activity is to catch a Peruvian Paso horse show. Visit them at the Caballos Peruanos de Paso, where afternoon shows give a titillating insight into this majestic creature and the cultural impact it’s had on Peruvian culture. The show also includes a Marinera dance performance which is perfect if you miss the yearly dedicated festival. A short, sweet and inexpensive cultural injection if ever there was one! The Marinera Festival is a fantastic cultural event and, considering Trujillo is the home of the dance, an absolutely brilliant reason to visit the city in January. The marinera has been listed as Peru’s national dance and is to locals what the tango is to Argentinian: a romantic and inherent trait of their historic culture. The festival hosts dance competitions, fiestas galore, plenty of food and also Peruvian Paso shows, so really worth attending. 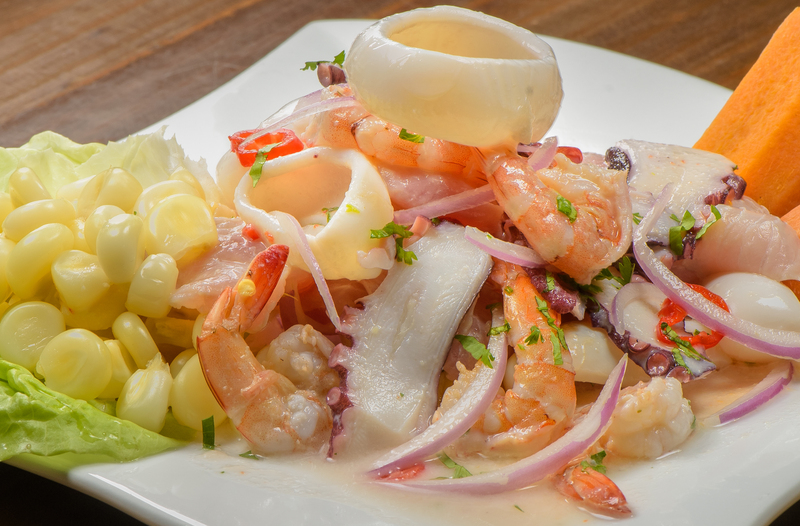 Cuisine – Trujillo’s cuisine is varied and delectable with regional varieties making it a great all-rounder. Ceviche is the name of the culinary game, as one would expect along the coast, yet local specialities also include grilled goat (cabrito) and duck (pato) in the city’s many parrillada eateries. 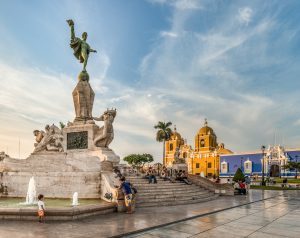 Trujillo is an exciting, interesting and vibrant city to visit, most especially if you’ve been to Peru before, have ticked all the most famous highlights and are looking for a unique new destination to discover. Yet considering that most secret wonders are best left undiscovered, take this as our attempt to not reveal the truth about Trujillo. Let’s just keep this between us, shall we? 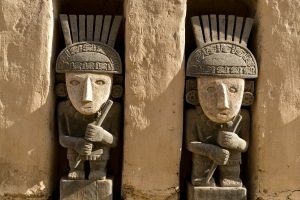 For extensive itinerary ideas and for more personalised advice on how best to include a visit to Trujillo on your next tour of Peru, visit our Peru Tours Page and contact us, right here. Visit the major highlights of Peru. From Lima to Ica & Nazca & head up into the Andes via Arequipa. Marvel at Lake Titicaca, Cusco and mighty Machu Picchu.